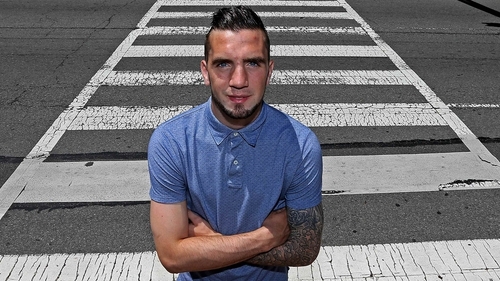 Shane Duffy reaped the rewards of four years' hard work when he was handed his senior debut for the Republic of Ireland on Saturday. The 22-year-old Everton defender lined up against Costa Rica in Philadelphia during the early hours of Saturday morning to end a long journey back to international prominence. Duffy had been promised his first senior cap by then manager Giovanni Trapattoni in an end-of-season friendly against Paraguay back in 2010 when he suffered an horrific training ground injury which left him with a lacerated liver and fighting for his life. He has spent the time since working his way back, and his industry finally paid off at the PPL Stadium. Duffy said: "It's been a long four years. I don't know, I was just focusing on club football to see if I could get back to where I was, and hopefully this season I have shown that. "Playing the other night was sort of a reward for four years ago, what happened, so I was just delighted. "I am made up to be even in the squad, so to play was a dream. "Obviously when you start playing football, you want to play for your country, so I was delighted when it actually came. "I thought I did all right in the game, some good things, some bad things, but it's the first step and hopefully I can do better stuff." Duffy played his part in a 1-1 draw with World Cup finalists Costa Rica, who fought their way back from 1-0 down despite having defender Giancarlo Gonzalez sent off before the break. He lined up in a much-changed defence along with Richard Keogh, Stephen Kelly and Marc Wilson, the latter of whom had to make way for emergency left-back James McClean because of injury, and the quartet was given a stern examination by Bryan Ruiz, Marco Urena and Joel Campbell in particular. However, the degree of difficulty will only increase during the early hours of Wednesday morning when Ireland face Portugal at the Metlife Stadium in New Jersey. 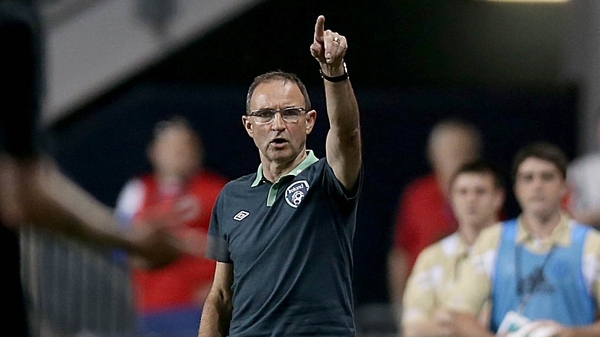 Boss Martin O'Neill's defensive resources have been significantly depleted since the squad met up in Dublin last month with John O'Shea, Seamus Coleman and Damien Delaney having left and Wilson not expected to have recovered from a tight hamstring in time for the game. Full-back Stephen Ward has rejoined the squad after flying in on Saturday evening, but Duffy is hoping he might get another chance to impress. He said: "As soon as you have played one game, you want to play more. "I don't know how I did, but I just went out there and did the best I could do, and on Tuesday I will be ready if I'm picked." Should he get the nod, Duffy will find himself pitched into battle with Portugal's Brazil-bound superstars in hot and humid conditions, and it may prove something of a contrast to what he has been used to. The Derry-born defender spent last season on loan in the Sky Bet Championship at Yeovil, who ultimately slipped out of the division after a lengthy battle against relegation. However, the experience he gained at Huish Park proved invaluable, and Duffy, who made 39 appearances, is grateful for the opportunity afforded him by the Glovers. Asked about the prospect of locking horns with Cristiano Ronaldo and company compared to playing in England's second tier, he said: "It's a lot different, but it's been brilliant for me down there. "It's got me where I am now, so it's credit to Yeovil for bringing me down there and giving me a chance to be in the senior squad." Midfielder Glenn Whelan will not be involved after flying home for personal reasons.